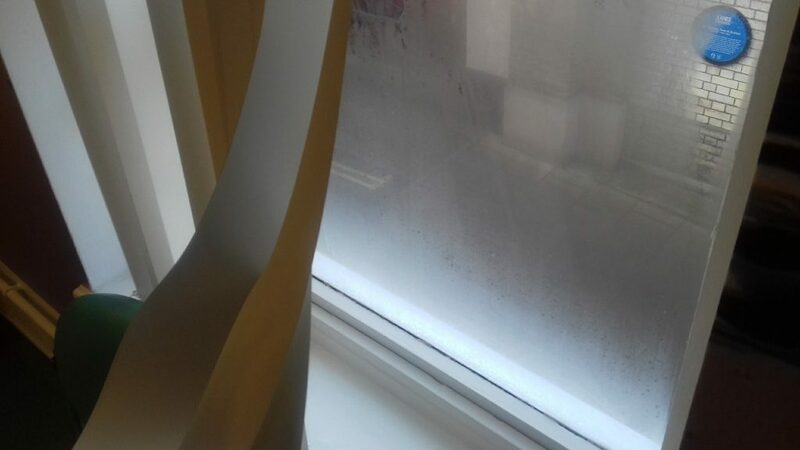 A two storey town building in Norwich, has a history of high humidity and condensation in a majority of the rooms throughout the building. The building is currently occupied and operating as a dental practice. None of the members of staff had reported suffering any adverse health symptoms, however the owner of the company contacted us and asked us to attend site and conduct a damp survey. The dental practice consists on the ground floor of one dental surgery, a store room, a reception and waiting area, an OPG room and a practice manager’s office. On the first floor the dental practice consists of three dental surgeries, two toilets, two waiting rooms and a staff room. Moisture mapping is a process which involves using specialist equipment called a Hydromette HB30 moisture meter and a Tramax moisture encounter plus, in order to identify areas of elevated moisture within the building. 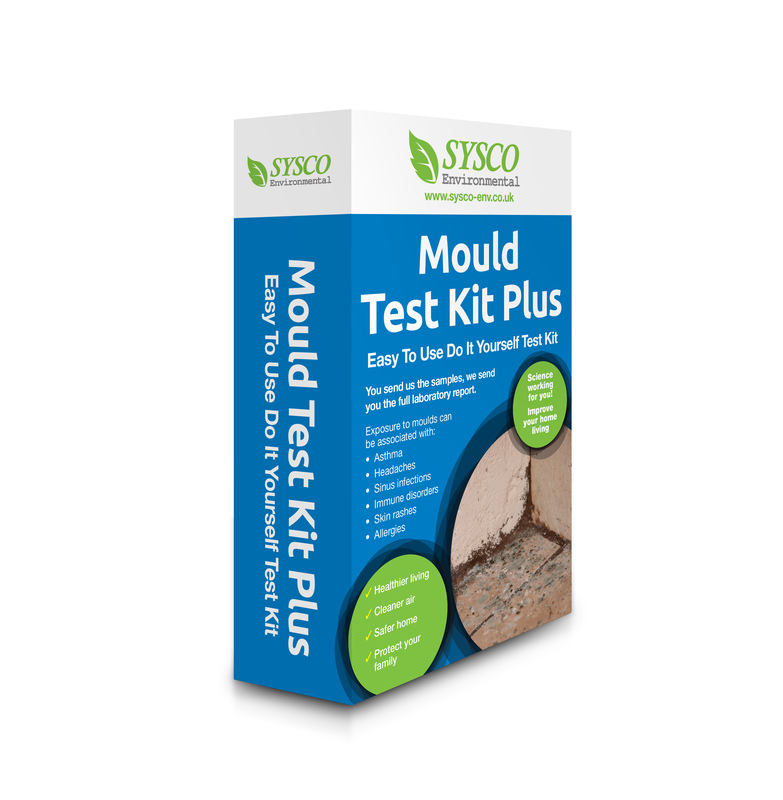 Our surveyor begun the moisture mapping process in the staff room, where there was evidence of condensation mould to the external wall of a storage cupboard and to the external wall to the window. Our surveyor measured the moisture content within the plaster with the TRAMEX moisture encounter plus, which revealed normal moisture levels. The room is affected by relatively high humidity levels due to the presence of four water distillers. The water vapour which is emitted by these distillers is controlled by ventilation through the window which is only partly effective. 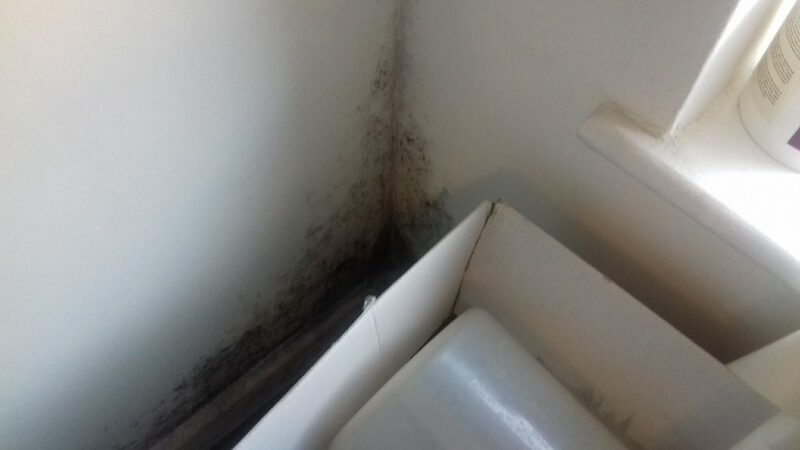 Our surveyor believes that the root cause of the fungal contamination in the cupboard is condensation of the water vapour on the cold wall and a lack of ventilation in the cupboard as well as a lack of suitable ventilation in the room. Our surveyor then turned his attention to surgery three and four, where there was no evidence of fungal contamination. However both surgeries were affected by condensation on the windows. The windows in this room appeared to have been repainted and the windows cannot be opened as a result. Both surgeries have a sterilisation unit in which emit a considerable amount of water vapour ultimately resulting in condensation issues. Neither rooms currently have any ventilation or fresh air supply. All other rooms in the building were inspected and no evidence of water damage, damp, leaking services, or fungal contamination were identified. What remediation measures were required? As a result of investigation and moisture mapping our surveyor was able to conclude that the property is currently being affected by condensation. In order to prevent condensation we recommend our client to insulate the external wall in the cupboard and close the window. We also strongly recommend they install an active ventilation fan in the room in order to control the humidity emitted from the water distillers. Finally we recommended that our client installs a fresh air supply and ventilation in all the surgeries in order to control the humidity from the sterilisation equipment and provide fresh air. All necessary building maintenance and repairs should be carried out and all existing fungal contamination should be removed using appropriate measures such as localised containment and air filtration.